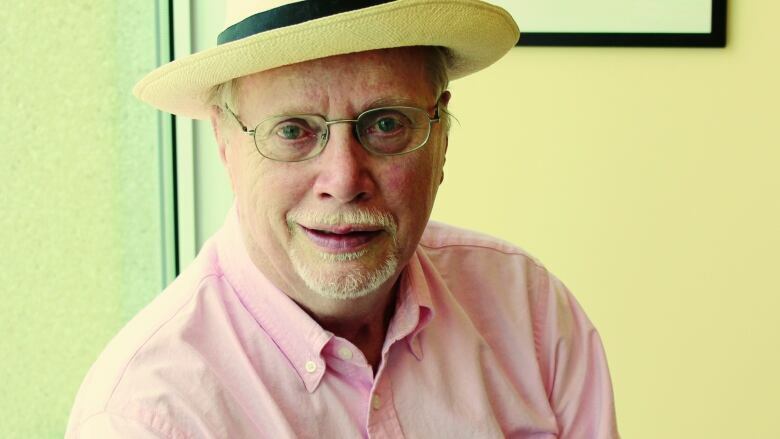 The writer behind the beloved classic, Alligator Pie, talks to CBC's Alan Neal about his process, the power of poetry and the peril of ideas. Dennis Lee is a Canadian poet and teacher best known for his 1974 collection of children's poems, Alligator Pie. His poems for older readers have garnered substantial acclaim as well, including Civil Elegies, which won a Governor General's Literary Award in 1972. In the years since, Lee has won the Vicky Metcalf Award for Literature for Young People, been named an officer of the Order of Canada, won a Toronto Arts Award for Lifetime Achievement and more. Lee celebrates his 80th birthday in August 2019 and with it, a half-century of writing. He recently spoke with CBC's Alan Neal on All In A Day about his latest poetry collection, Heart Residence, which spans those 50 years. "It drives me crazy sometimes... trying to push words to a place where words either don't quite matter or don't really manage to tell the truth. And yet, you want an 'under-truth' and an 'under-music' to come through. Sometimes I think it's the music of a piece — which means more than just lovely, lyrical vowels and consonants — that tells more truth than any single bit of content that you can wedge in. "What can be heartbreaking is I spend a lot of time trying to get that dance of under-music happening on the page and if I read to people, sometimes somebody will come up to me afterwards and say, 'You know, I've read your stuff on the page and I've liked it, but I had no idea it sounded anything like it does until [you] read it out loud.' And I say, 'Gosh, how do I make that happen on the page? How can you hear it out loud on the page?'" "I have all kinds of ideas because I'm intellectual, too. But they almost always turn out to be dumb ideas. Part of the job of writing a poem is to dismantle what the head wants to do and find out what the body wants to do. That can involve a lot of very thoughtful stuff, or it can involve sheer dance — sheer play. "Ideas have their own force, of course. But unless they are rooted in how we are at the cellular level and how the world is at the level of the most physical… then they kind of hang free in space. I do keep reaching for a way of enacting those under-truths that are so present and so immediate that it's easy to ignore them." "I give readings and I may read from stuff across the half-century spectrum [during which I've been writing], but I'm most concerned with the darned thing I'm trying to write right now. The 'right now' keeps changing of course, but the process doesn't change. I'll sit and write two new words and rub out 11 old words and wonder: 'How can you ever finish a poem when, at the end of a good day's work, you've got half as many words as you did when you started?'"